Perhaps the best test of a book’s front cover is how good it looks as a cake. 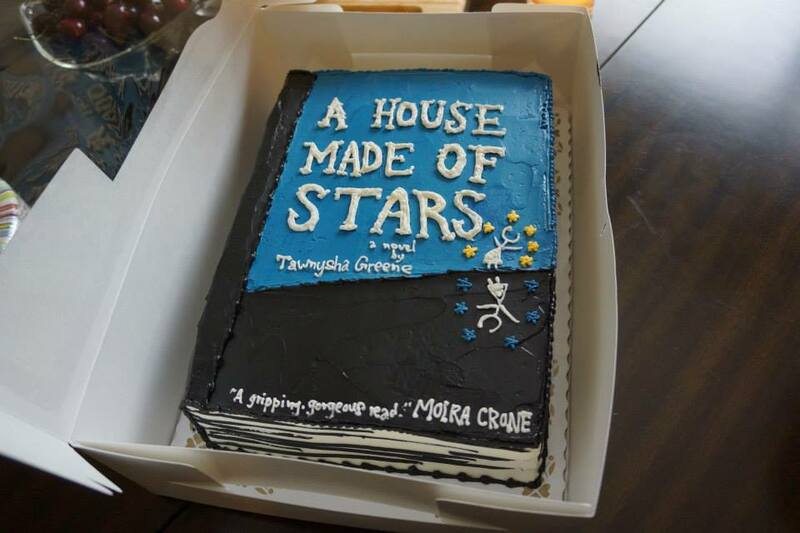 After many months of work, A House Made of Stars, the debut novel by Tawnysha Greene, was ready to be presented to the world. It’s a great book and everyone at Burlesque Press feels very lucky to be able to publish it. 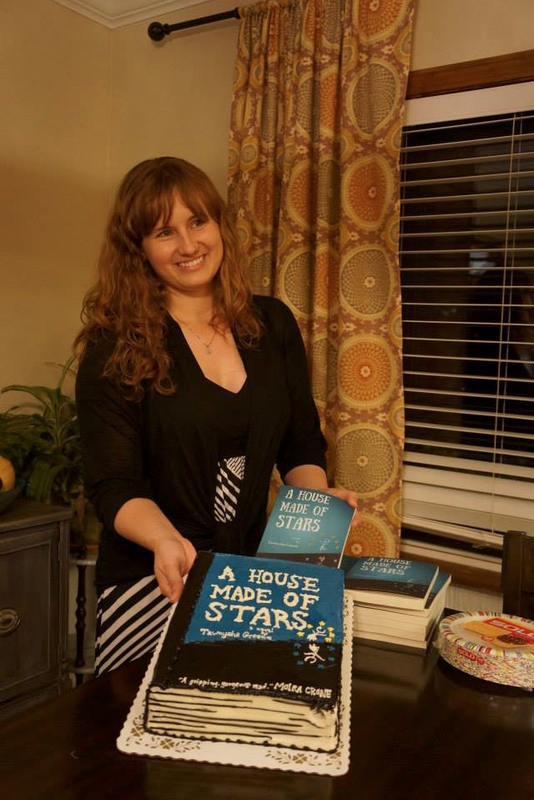 By the cake test, Tawnysha Greene’s A House Made of Stars looks great. 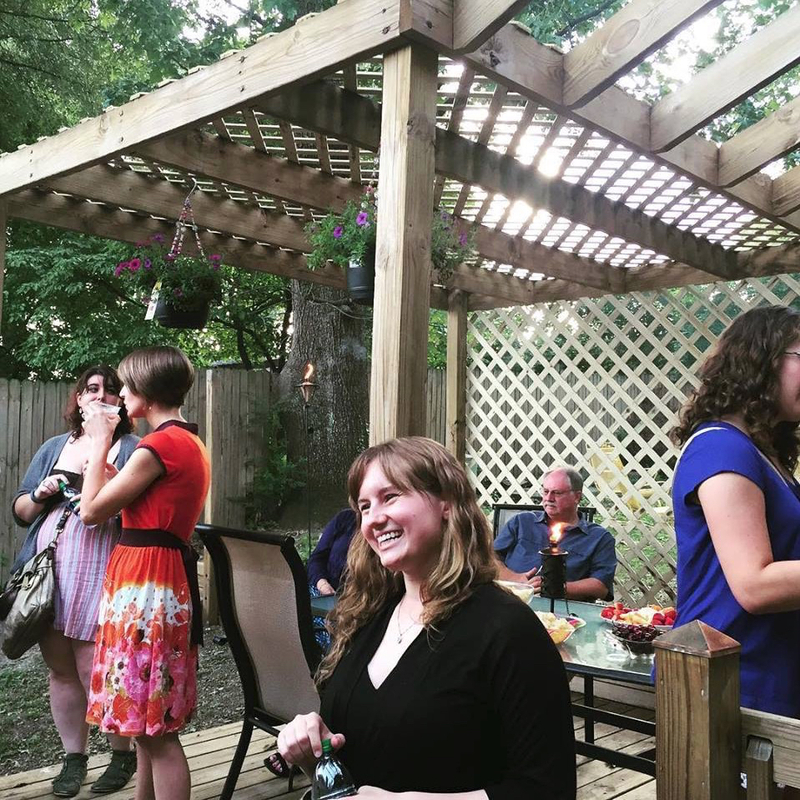 Burlesque Press hosted a launch party to welcome A House Made of Stars into the world. Magpies, an exceptional local bakery, turned the cover design into a cake design. You can buy a copy of the novel that Moira Crone called “gripping” and “gorgeous” from Burlesque Press’s online store or from Amazon. 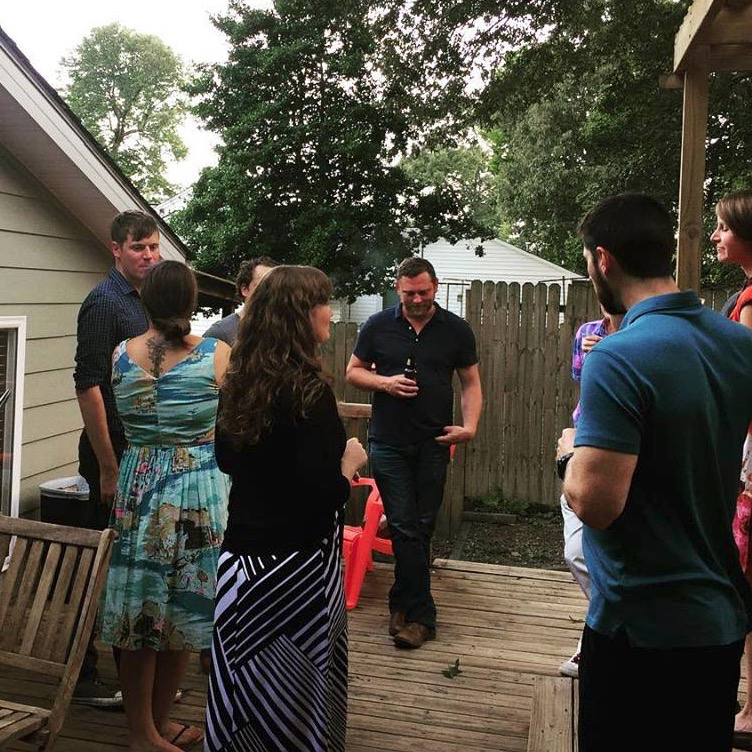 And you’ll be able to meet and talk to the author at this year’s Hand On Literary Festival, in New Orleans.